By Alexandra Bruell . Published on January 25, 2016. Following the merger of Interpublic Group of Cos.shops Mullen and Lowe to create MullenLowe, the bigger shop is now reorganizing as an integrated agency network. 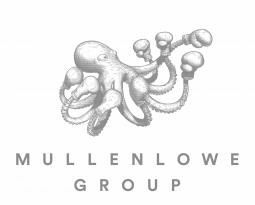 The MullenLowe Group network, which was created in May 2015, will now consist of four main brands with specific identities: MullenLowe will serve as the integrated marketing communications shop; MullenLowe Profero will play the role of the digital pure-play; MullenLowe Mediahub will provide media planning and buying solutions; and MullenLowe Open will offer behavior-driven activation and shopper marketing. 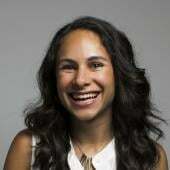 While Mullen already oversees a number of these groups, including its own homegrown Mediahub, as well as Profero, which it took on after merging with Lowe, the move to organize under a network creates clarity around what has typically been a complicated web of integrated agency offerings from IPG. Through this network structure, IPG and Mullen, a Boston-based shop that's been integrated from the start, are ironing out the holding company's past attempts at merging agencies like creative giant Lowe with other shops. In 2013, IPG merged two of its creative agency brands, Lowe and Campbell Ewald, and opened an office for the unified shop in New York. The new office helped strengthen the U.S. hub for Lowe and also effectively untied the alignment Lowe had with Deutsch in the U.S. -- an experiment that didn't work out. Lowe was also closely aligned with IPG digital agency Huge at one point, but that pairing also did not work out. After Lowe and Campbell Ewald came together, the newly merged agency in early 2014 acquired global digital shop Profero. More recently, IPG merged its Mullen and Lowe networks, putting Mullen CEO Alex Leikikh in charge of the joint group. "The creation of MullenLowe Group has given us the opportunity to create a whole new type of global communications network. A network not defined by silos. A network with integrated communications planning built into the model. A network where we bring together the best cross section of our talent across all disciplines to work on client business challenges and drive more creativity," said Mr. Leikikh in a statement. The group is also rolling out a new logo and brand identity that it's calling the "Challenger Octopus." "The new 'Challenger Octopus' brand identity perfectly embodies the positioning of MullenLowe Group as a creative company with a challenger attitude that is willing to take risks, and underscores a key competitive advantage of our network with our hyperbundled offering," said Jose Miguel Sokoloff, president of the MullenLowe Group global creative council, in the statement.